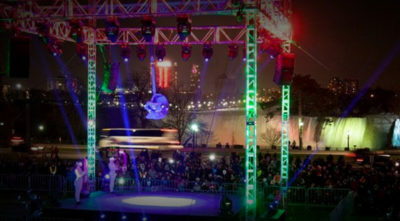 We will kick-off our 2019/20 season on Saturday, November 16, 2019, with Opening Ceremonies in the Niagara Parks! Celebrate the start of Niagara’s most cherished winter tradition, the Ontario Power Generation Winter Festival of Lights with your friends and family! Enjoy family-friendly entertainment in Queen Victoria Park just steps from the mighty Niagara Falls, then tour the 8km long illumination route featuring over 2 million lights throughout the Niagara Parks, Dufferin Islands and surrounding areas! Stay tuned for additional details on Opening Ceremonies 2019. Admission to Opening Ceremonies is completely free!